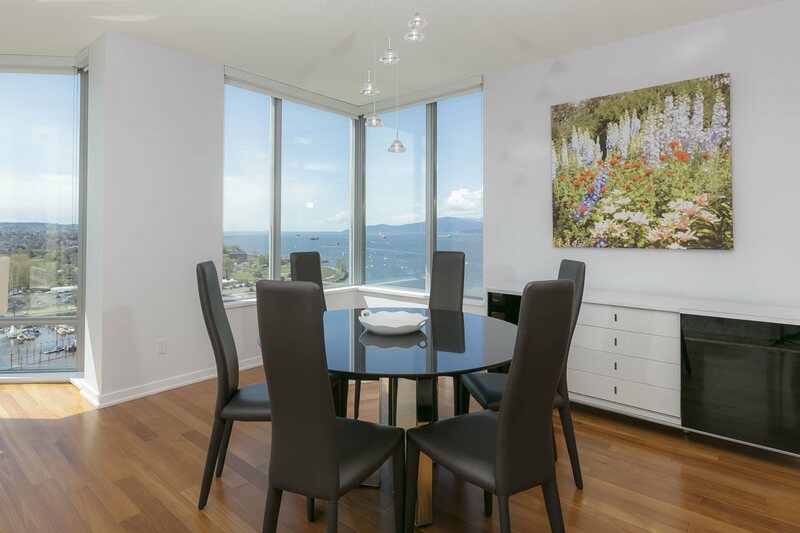 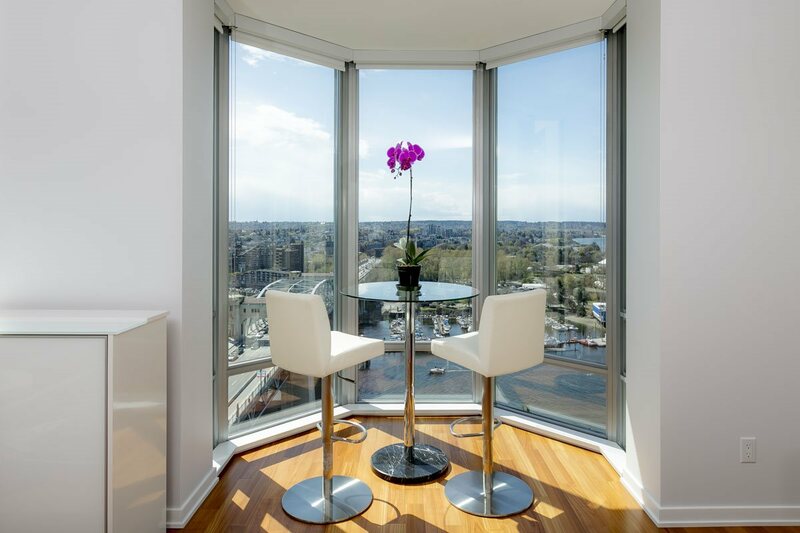 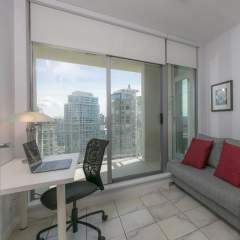 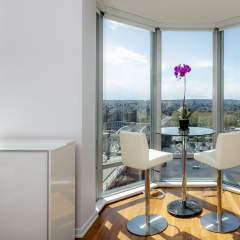 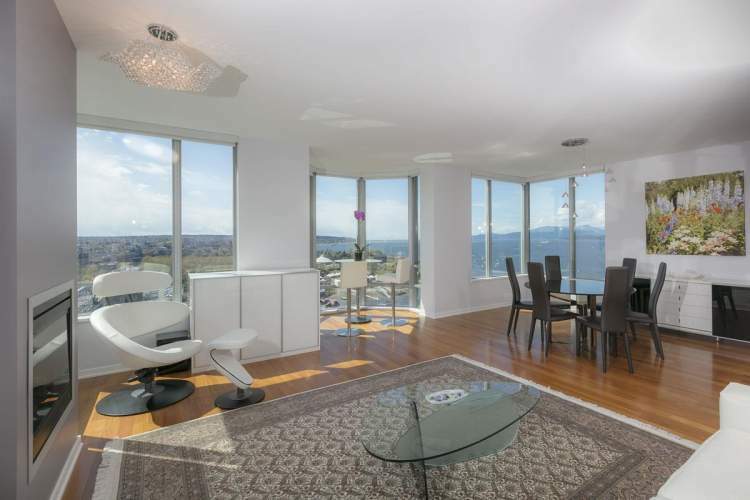 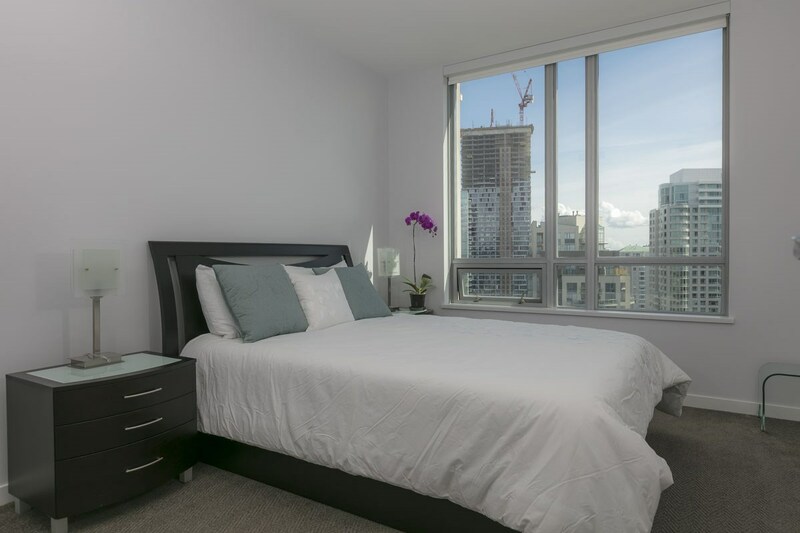 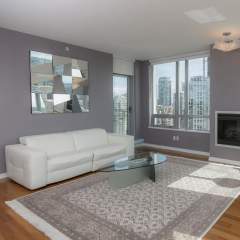 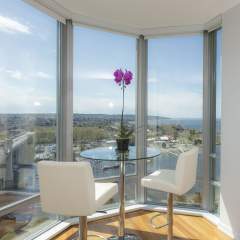 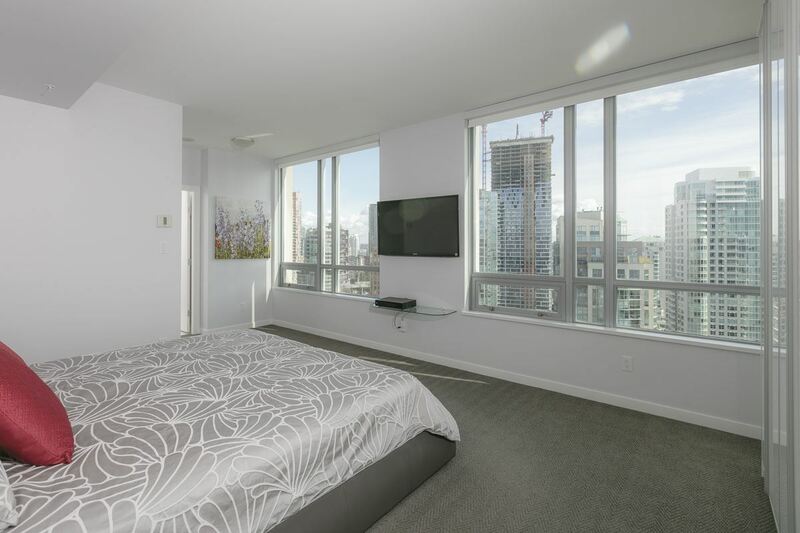 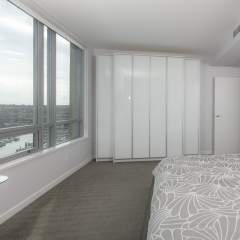 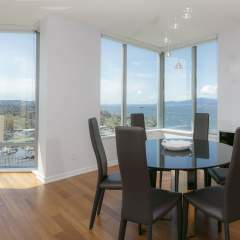 Breathtaking and unobstructed ocean views from this Southeast facing, AIR CONDITIONED 2 bedroom 2 bath plus den of 1546 SF. 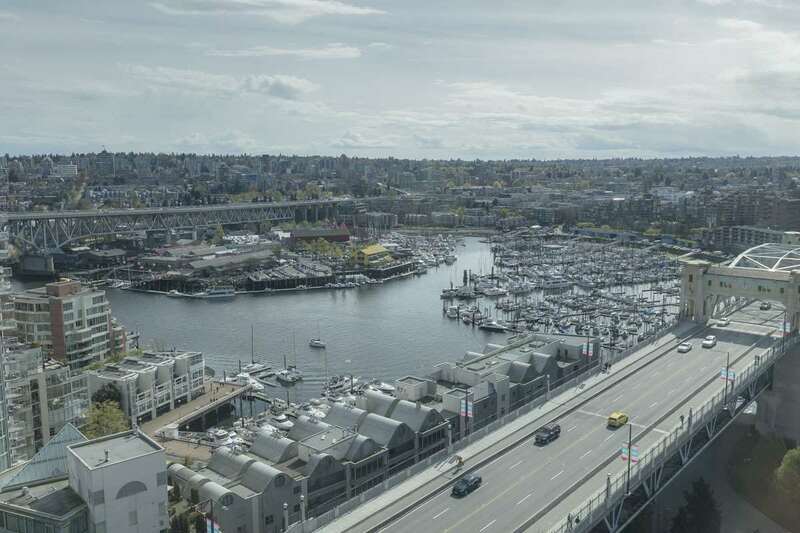 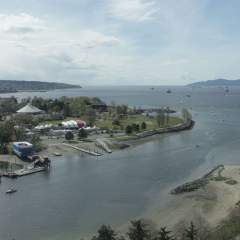 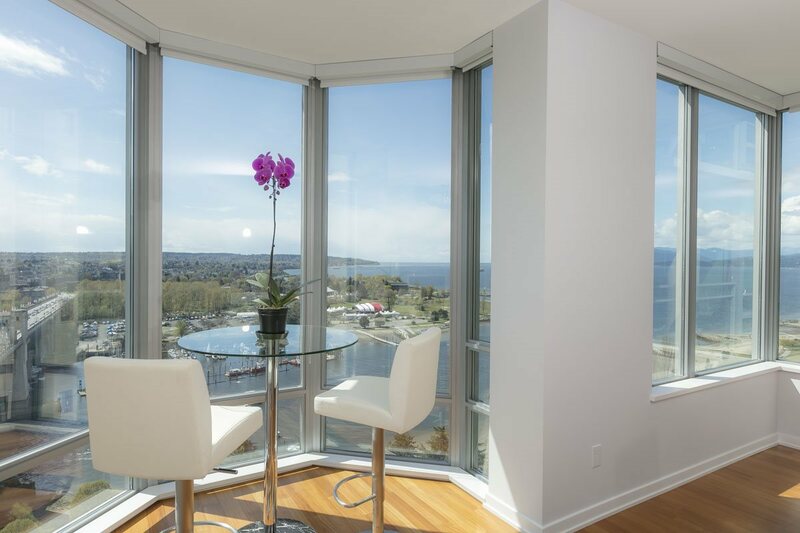 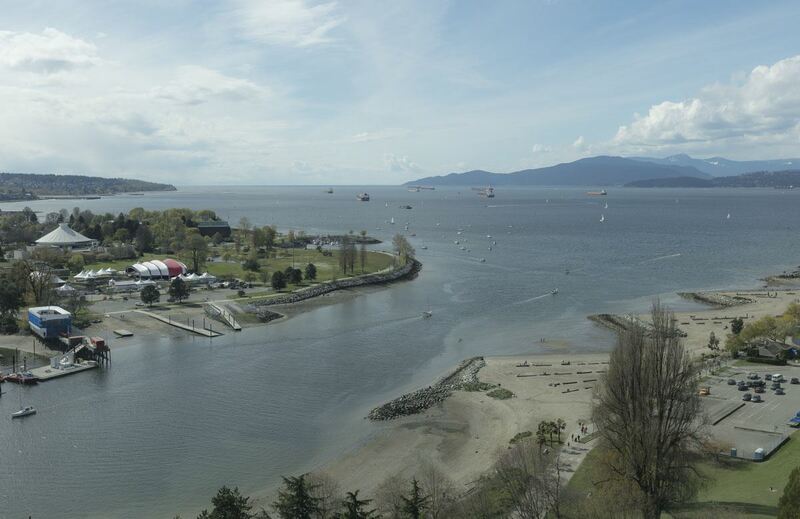 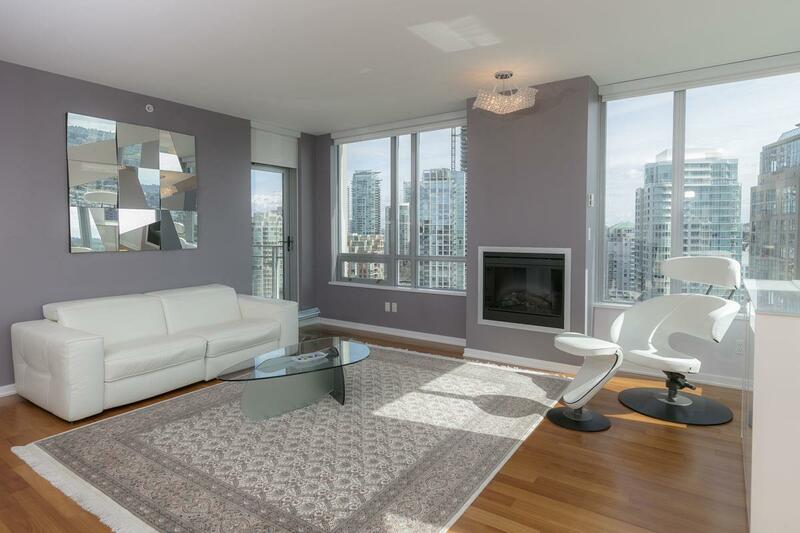 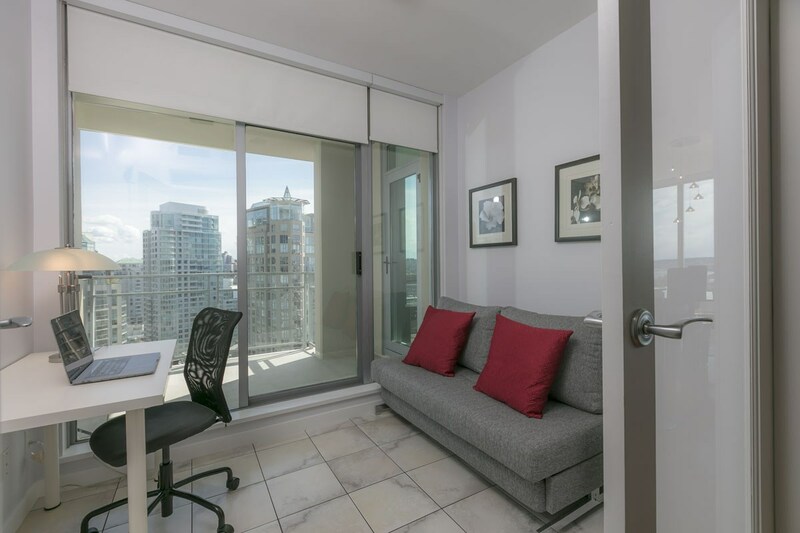 Watch mesmerizing views over English Bay & False Creek. 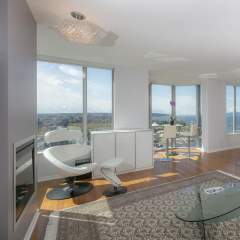 Enjoy sunsets all year long! 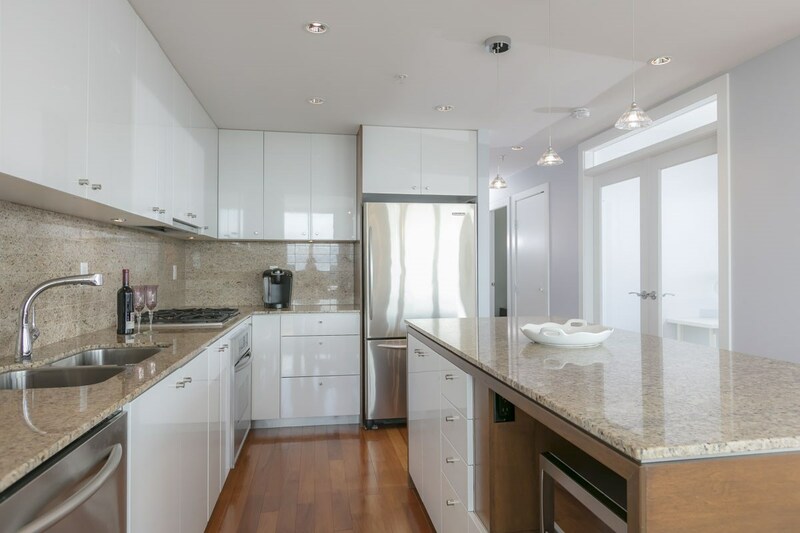 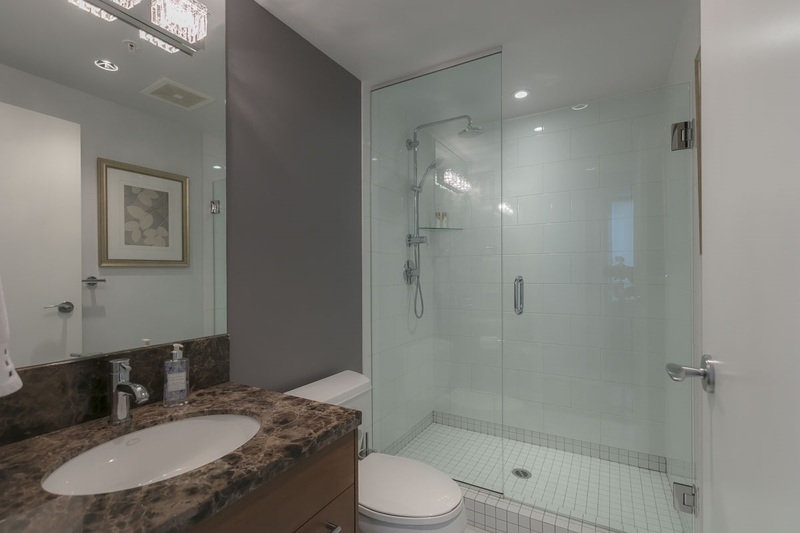 Contemporary features include over height ceilings, expansive windows, hardwood flooring & custom millwork. 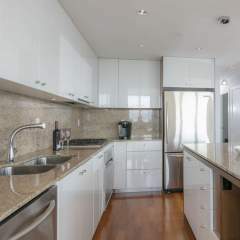 Sizeable open kitchen offers stainless appliances, 4 burner gas cooktop, granite counters plus large island bar. 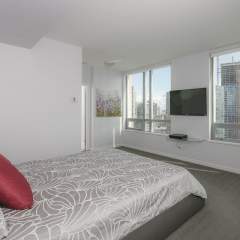 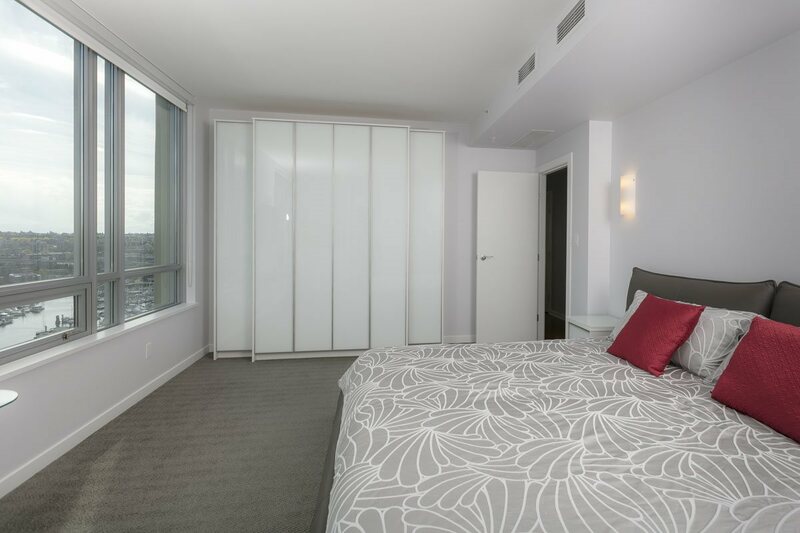 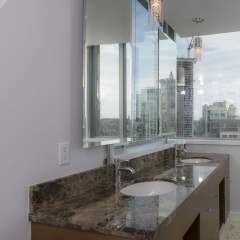 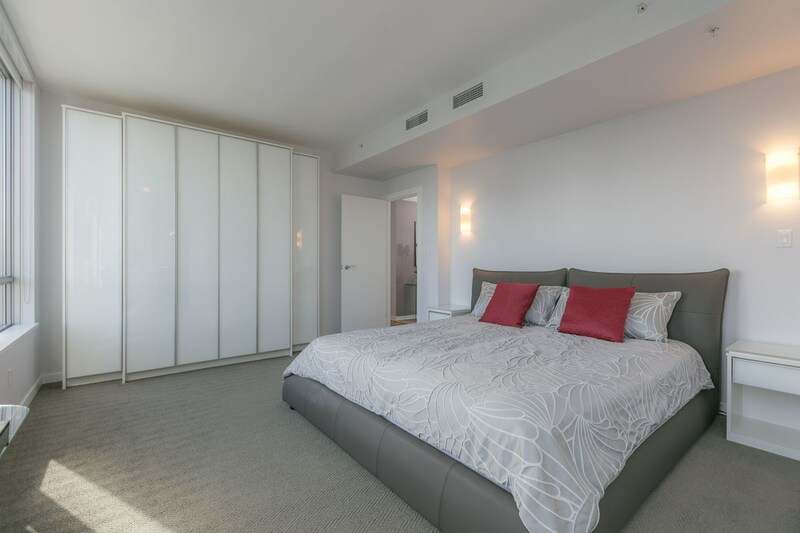 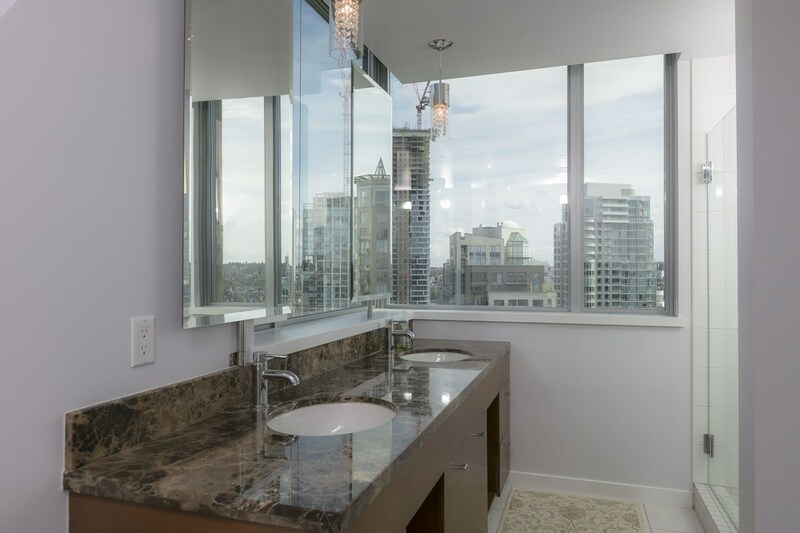 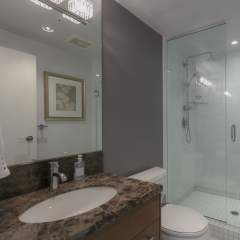 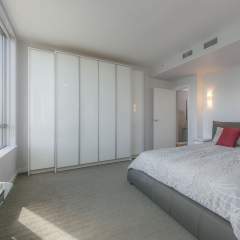 Generous master suite highlights stunning cityscape views, luxurious ensuite, built-in wall closet plus walk-in wardrobe. 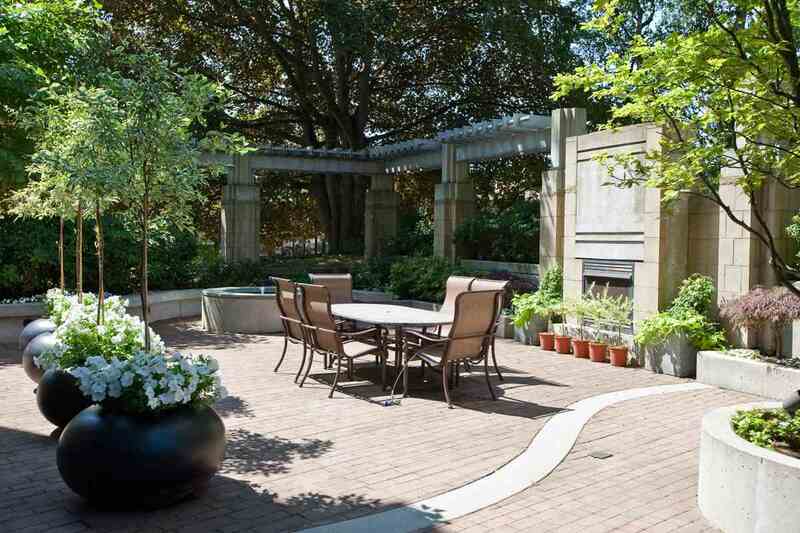 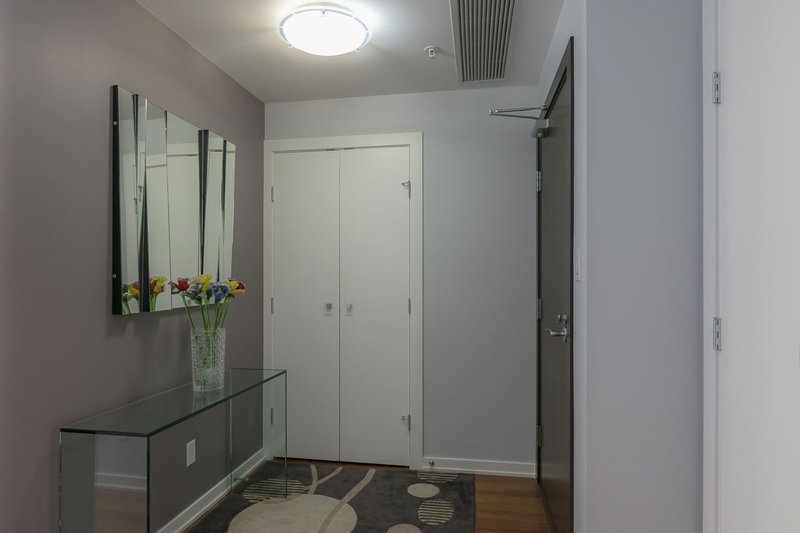 This meticulous suite with ideal floor plan is move-in ready. 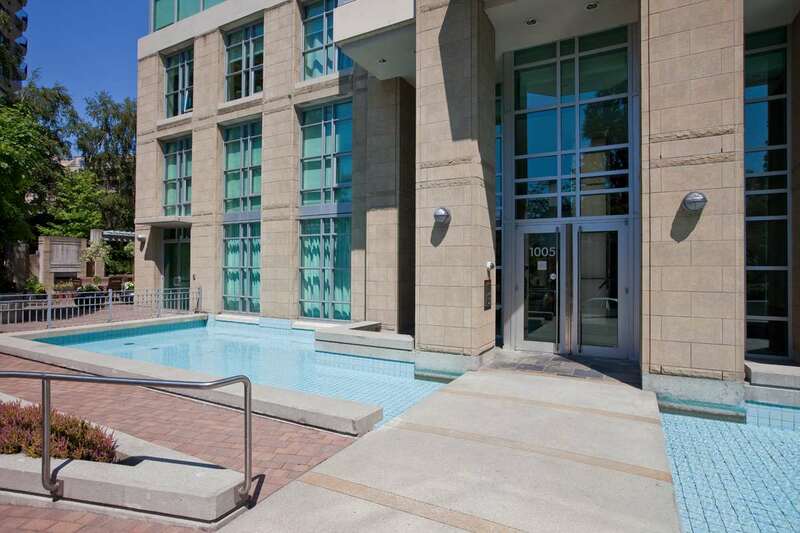 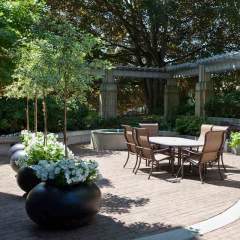 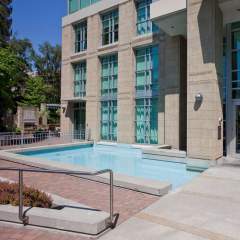 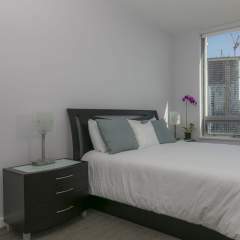 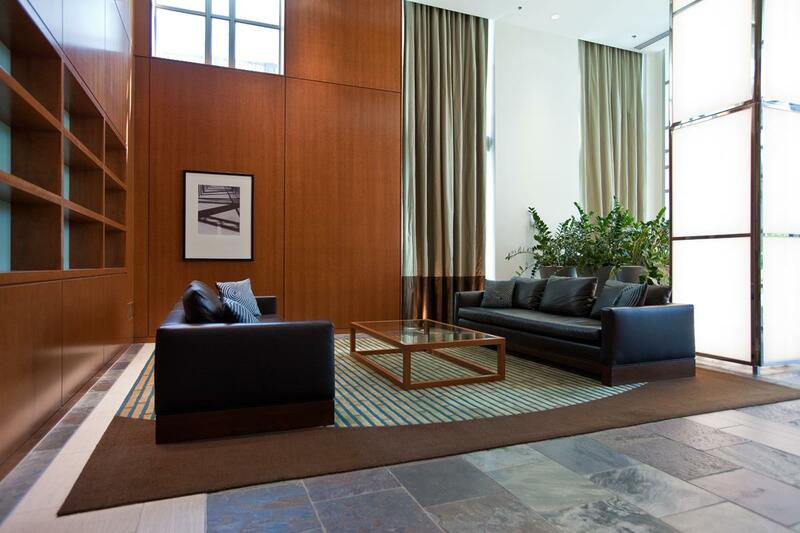 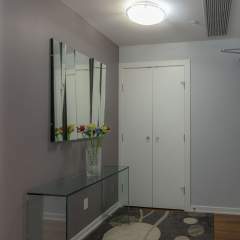 Value 2 parking, storage and excellent amenities. 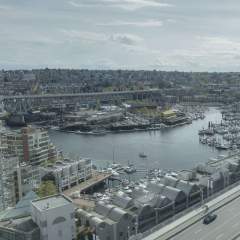 Steps to the seawall, beaches and a short ferry to Granville Island.